Halo Heat® technology brings consistent quality to every dish you prepare in the 500-TH-II Cook & Hold oven. 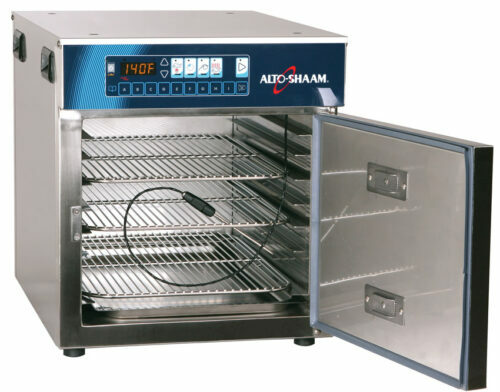 The oven cavity is surrounded with gentle, precise heat to evenly cook your food. 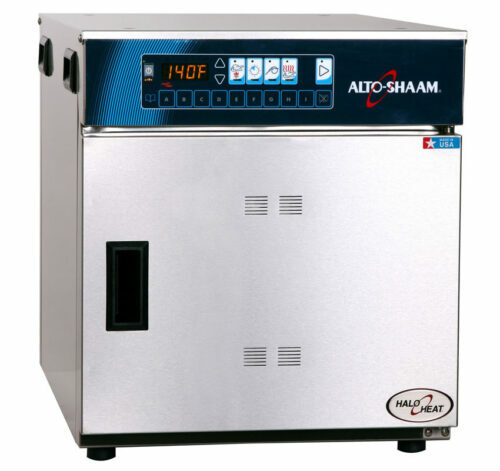 Whether you specialize in prime rib, corned beef sandwiches or barbecued ribs, Alto-Shaam’s original Cook & Hold oven will provide you with highest quality product every time. Capacity – 40 pounds (18 kilograms), 4 full-size/GN pans. 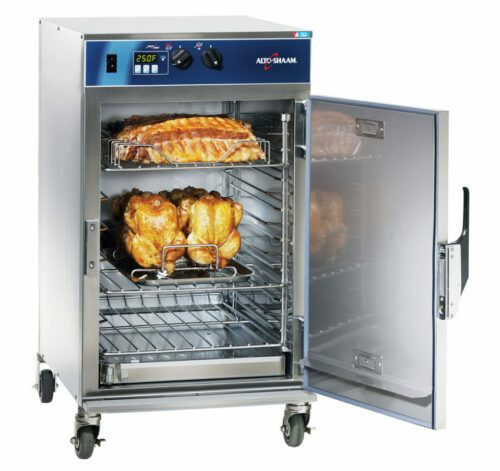 Halo Heat – No fans, forced air or added humidity allow for greater moisture and even cooking. 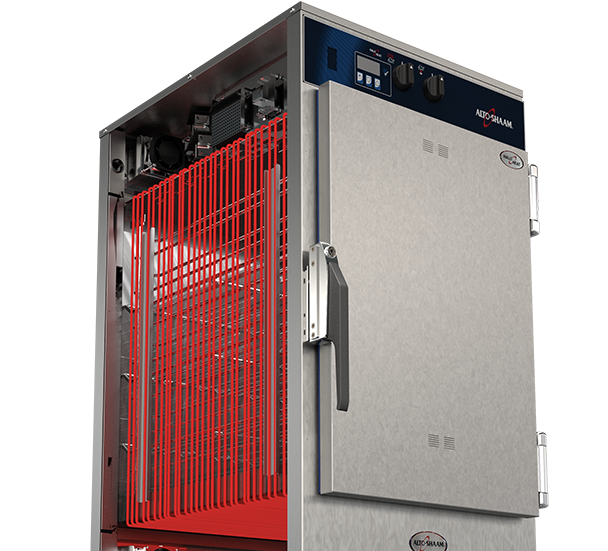 Greater yield & better quality – Halo Heat tenderizes even the toughest cuts of meat by activating their natural enzymes. 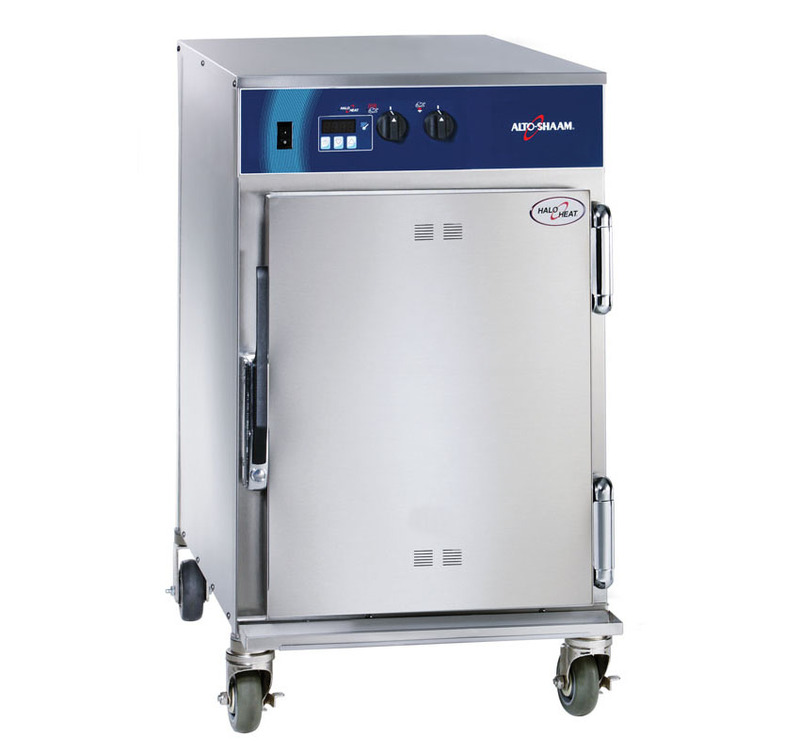 Cooks by time – Set your desired cook time and the Cook & Hold takes over from there, automatically switching to hold mode when cooking time is up. 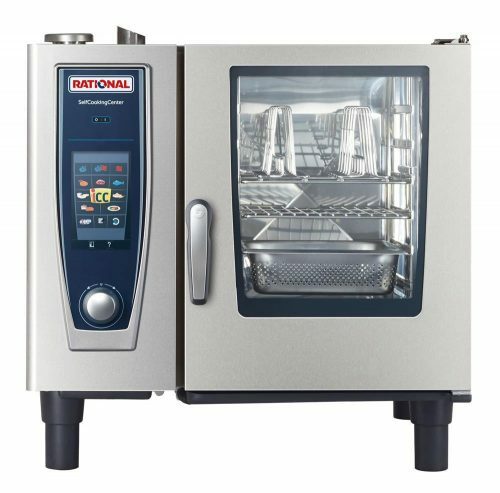 Simple manual controls – The 500-TH-II features manual dials, the most straightforward approach for time and temperature settings. 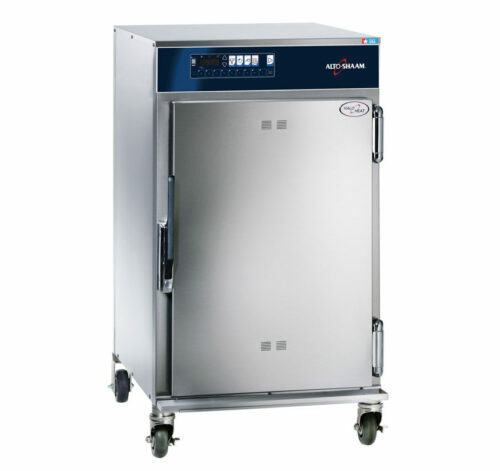 Stackable Design – Can be stacked with an identical oven, a 500-TH/III or a 500-S Holding Cabinet.